Difficulties arise. Mistakes happen. Reputations become tarnished — this is the way of the world, particularly when an error occurs after a company brand achieves a leadership position or a human being becomes famous. As we’ve seen time and time again, when a problem is avoided or “hushed up,” the blemish becomes more pronounced. But when the setback is embraced, reputation damage can be ameliorated and in some cases, even reversed. While an enraged Fifth Estate creates accelerated brand damage for organizations, conversational media can mollify angry customers or perturbed fans with direct interaction. Further, demonstrating responsiveness can help reputation management via online searching. When people see response to criticism and a commitment to resolve issues after public outcries, they are much more likely to believe the company cares about its customers. Perhaps the most storied example of this is Dell’s magnificent use of its blog when laptop batteries were literally blowing up, setting their laptops on fire. By embracing the issue, Dell went a long way toward resolving the matter and defusing anger directed at the brand. Robert Downey Jr. and MC Hammer (an online media star in his own right) are great examples of individuals who recovered their reputations after being tarnished. On the other hand, failure to engage creates its own issues. 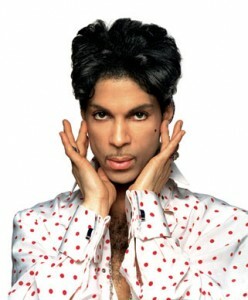 Pop icon Prince found out that the worst way to handle these situations is attempting to force fans (and commenters) to retract statements. Message control in social media environments doesn’t work; two-way conversational capabilities have permanently closed the door on that strategy. Instead of quelling the storm, actions like Prince’s attempts to control the use of his image and media tend to incite increased hostility. When a crisis occurs, successful communication efforts employ factual, timely updates. Organizations admit their fault and take public steps to address the issue. Such times can offer a company the opportunity to shine and actually build goodwill with its community. Days are too long when minutes and hours can create an uprising on the Internet. Acknowledge wrongs or problems and the steps taken to correct them. Publish a co-joining statement on their blog or website. Don’t apologize and then repeat your errors. If someone is complaining, and the company can’t effect change, acknowledge their remarks. Make them feel heard. 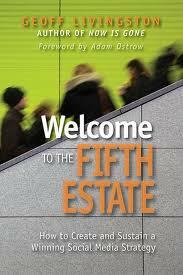 Remember that smaller members of the Fifth Estate matter, too. A common mistake is to ignore remarks on blogs and social networks with less traffic, assuming they’re too small and don’t matter. What if a more influential blogger or a journalist reads a small site and picks up the story? Influence is also determined by who reads the post, not just by quantity of readers. Since writing this chapter, it has become clear there is a new type of reputation issue that occurs in our increasingly polarized culture. Those are the bonafide critics who exist in every circle. They will never or likely rarely agree with you. It is a mistake to simply say haters are going to hate. Because critics are not trolls, they cannot be ignored. Just as President Obama has to acknowledge Tea Party criticism, it is wise to address issues raised by the opposition. You may feel personally opposed to this, but your customers may not be able to delineate between you and your critic’s perspectives. Like engagement with a negative commenter, state the facts, and if you believe you are in the right, simply let it stand. In marketing a brand, an overtly strong defense can signal complicity. Address questions, be right, be confident, and move on.